WordPress is a free and open source content management system which is based on PHP and MySQL. Security is a continuous process and should be managed properly in a reliable way. Security is about the reduction of risk and it is not the risk elimination. The risk will never be zero. It is all about employing the appropriate security controls. Security will also transcend the WordPress applications.It is physically tuning and configuring your installation. Security is comprised of three domains they are People, Process, and Technology. Each work in a synchronous harmony with each other, without the people, and their processes, the technology itself would be useless. 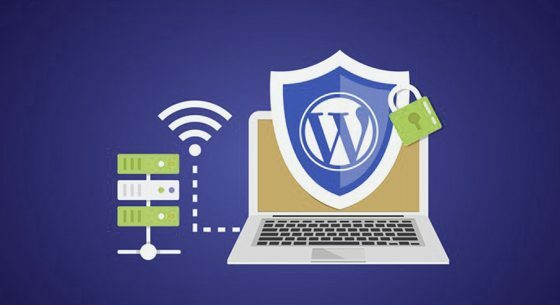 WordPress Security is much about securing and hardening your local environment, online behaviors and internal processes. WordPress site which is hacked can cause serious damage to your business revenue and reputation. Hackers can steal the user information, passwords etc and can even distribute malware to your users. The worst condition will be when you may find yourself paying ransomware to hackers just to regain access to your website. The number of people who have administrative access to your WordPress site must be reduced to a minimum. You should also reduce the number of possible entry points. It can be done by only installing web applications that you need and use. Any unused plugins and themes must be removed. The integrity of backups should be occasionally verified to make sure that you can restore your website by any chance it is damaged. Maintain reliable backups. There must be a plan to recover your website if it is compromised and this plan must be documented. To minimize the amount of damage that can be done in the event that it is compromised your system should be configured. Avoid having a large number of diverse web applications on a single hosting account wherever possible. Stay up-to-date with your WordPress installation in the best way by including plugins and themes. An administrative control in place that requires a check for the status of your site and its extensible components must be put. Do not get plugins or themes from sources that are not trusted. The Trusted sources include the WordPress.org plugin directory. A recipe for disaster is googling for a free version of a premium plugin. Nulled plugins must not be on your site. Security vulnerabilities are something that will affect the WordPress. To stay current, we recommend subscribing to the vulnerability database maintained by the commercial website of WordPress. If a hacker gets in, the easiest way to change your files would be to go to Appearance > Editor in WordPress. So sometimes we need to disable file editing. Attacks like a Brute Force attack, target your login form. Specifically for WordPress security, there is a plugin which has an option to simply change the default URL for that login form. Brute force attacks are nothing but simply guesses. The attacker usually will try as many username and password combinations as possible until they find the right one. This can be fixed by not using the passwords and usernames that can be guessed easily. Usage of long and complex passwords are impossible to guess must be done. By far the biggest culprit is vulnerabilities in plugins. There are a lot of plugins which are created by the different developers.One way to protect your site from vulnerabilities in plugins is to install as few plugins as possible. The WordPress is used in the first place because of the plugin facilities. So it cannot be ignored altogether. The sites must be kept up to date. The vast majority of successful attacks will rely on vulnerabilities that have been fixed in the very recent version.